There is a huge demand for mobility solutions at the enterprise level, but the market space is very fragmented. Enterprises have to evaluate a number of different layers of solution sets in order to decide on a solution. This is where nuVizz, an Atlanta firm specializing in Enterprise Mobile Solutions and Consulting, comes in. 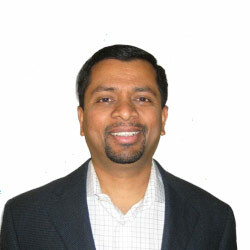 Founded in 2011, nuVizz is uniquely positioned as a ‘one stop’ enterprise mobile solution vendor. nuVizz not only provides the infrastructure components required for managing the mobile ecosystem, but also helps enterprises in mobilizing their organizations, by building mobile solutions. Enterprises are looking at mobility as a long-term strategy initiative. But, the solution space is fragmented with niche players. There are pure play infrastructure (MDM, MAM) vendors, MEAP vendors and mobile application development vendors. Enterprises have the daunting task of choosing the right vendor in each space and implementing a business solution that not only meets the mobile solution requirements, but also plays well with existing enterprise applications. nuVizz’s holistic approach to enterprise mobility is unique in the market place. nuVizz not only provides the enterprise with a mobile platform to manage its mobile ecosystem and build its own solutions, but also works with customers to define mobile strategy and integrate existing applications. authentication and authorization security layer for all apps, common development SDK, device/OS independent app development framework and the necessary plumbing to integrate with other enterprise business applications—all while securely moving data,” says Gururaj Rao, Co-Founder & Managing Partner of nuVizz. nuVizz’s line of business apps, built on its platform, showcase the company’s power in building robust, enterprise grade mobile solutions for specific industry verticals. “Mobility is top of mind for executives in almost every industry vertical that we touch. It is especially true in service industries where customer service is of utmost importance,” mentions Guru when talking about the verticals of interest. nuVizz works with companies of all sizes with revenues ranging from $10M to multibillion dollar entities. Industries served include retail, wholesale, healthcare and education. nuVizz is continually adding functionality to its Enterprise Mobile Solution platform. Platform enhancements include the ability to create and publish complex mobile solutions that integrate with other enterprise applications, with minimal assistance from IT. The line of business mobile solution portfolio is being expanded to include solutions for Field Service Management, Healthcare and CRM.